If you’re anything like me, you were rocking that same JanSport backpack since freshman year of high school. While that classic may have supported you through high school and undergrad, it’s time to consider an upgrade. In this post, I’ve collected my top picks for the best backpack for grad school. 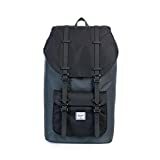 If your grad school is actually Law School, I’ve got a post specifically for law students about the best law school backpacks, based on my survey of actual lawyers and law school attendees! In a hurry? 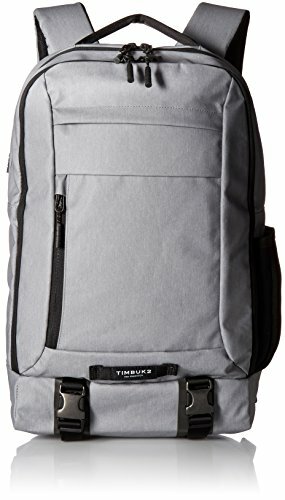 Check out my top pick for grad students, the Timbuk2 Authority Pack, over on Amazon now. 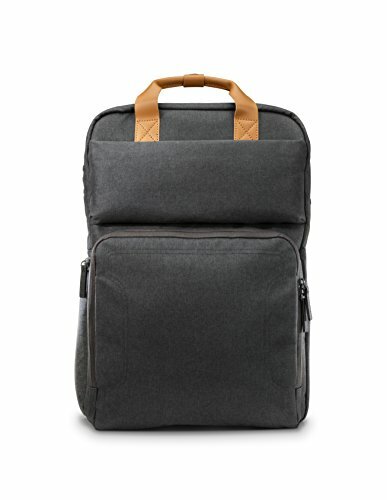 This bag allows you to bring your whole office – whether it’s books, files, computer and whatever else you carry – wherever you go. A rear access laptop pocket that will keep your device protected while providing more space in the main compartment (fits laptops up to 15 inches). The Authority Pack comes in 7 different colors, ensuring you find the perfect color to compliment your daily wear (I’m a fan of the Fog color, pictured above). The big reason to pick up this great bag, though, is to take advantage of Timbuk2’s best-in-class lifetime warranty. I’ve said it in other posts – Timbuk2 is one of the best companies out there for backpacks and messenger bags! To top it off, this backpack is made with an air mesh back panel that will ensure your dress shirt stays dry and you remain calm, cool and collected. Ready to get one for yourself and head back to class? Check it out over on Amazon now. If you’re not quite ready to give up those classic JanSport looks, but are still looking for an upgrade, consider the Herschel Little America pack. These backpacks are certainly a style upgrade and can be taken from grad school to the office, or to the bar for your much-needed celebratory drink after passing that exam while on a full-time work schedule (I’ve been there). Herschel backpacks have quickly become known for their iconic style while providing a functional modern backpack. The front pocket has a hidden zipper and includes a key clip so you won’t be fishing for your house keys at the end of a long day. Like the Timbuk2 Authority Pack above, the Herschel Little America also features an air mesh back padding for breathability. 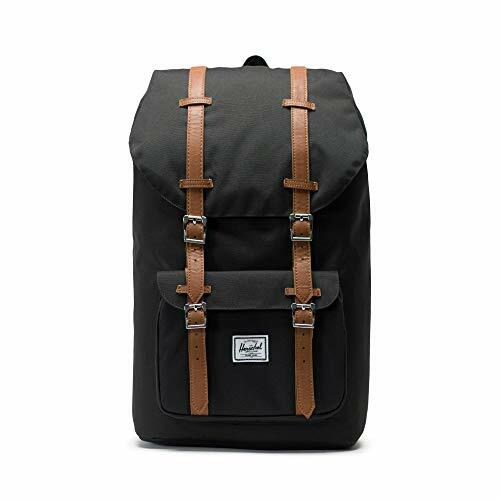 If you’re looking for a backpack that offers a stylistic edge, the Herschel is for you. It’s offered in more than 35 colors ensuring you’ll be able to set yourself apart from others in your class. Want to find out more and pick one up for yourself? Check out the Herschel Little America over on Amazon now. If you’re a gadget junkie like me, the HP Powerup Backpack might be the bag for you. Whether I am at work, school or just sitting at home, I always have at least 3 pieces of tech within arms length. With this bag, you’ll never have to worry about finding a seat near an outlet – it comes with the power source built-in! Plus, the Powerup meets security requirements for traveling on planes, so it’s perfect for weekend trips home. And the canvas exterior is heavy duty and water resistant so you won’t have to worry about water logging your devices while trekking across campus. The only downside with this backpack is that the laptop charger in one of the available models is for HP products only. Is this the bag for you? Check it out over on Amazon for the best price and more info. If you’re ready to give up your classic backpack but still need to carry around your devices, consider a messenger bag. The Tumi Fallon Messenger back is the perfect bag for any young professional balancing work and grad school. This bag merges modern design with great functionality and tons of organization. 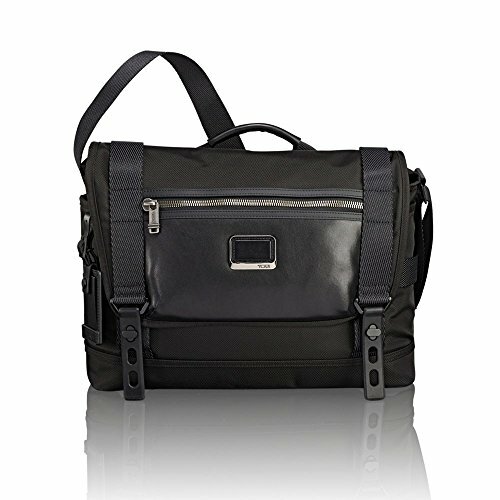 This stylish messenger bag with adjustable shoulder strap and handle is a great option for those ready to upgrade from a traditional backpack while making a seamless transition from work to grad school. While this Tumi does fall on the higher end of the pay scale, their products have a great reputation for quality. This bag is sure to last you through the ages. Want to get one for yourself? Click over to Amazon to find the best price. Many students find themselves balancing a full or part-time job while juggling a full class schedule. I know my schedule was full of internships and other work during law school. So finding a backpack that can support all aspects of one’s lifestyle is a necessity. For my money, I’d go with the Timbuk2 Authority Pack. It’s just an amazing all-around performer and super organized. 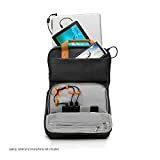 Finding a bookbag with plenty of organization will help in keeping your work and school items separate while ensuring you have enough pockets to organize your electronics, charging cords, books, pens, and whatever other personal items you might be carrying. Consider what you will be carrying on a day to day basis will help determine the number of pockets and size you’ll need. 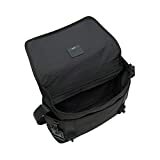 It will ensure that your life stays organized while carrying what feels like your entire life – books, work items, laptops and tablets – from home, to class, and to your job. Remember though, while you might want to carry everything you can, try to consulate when possible to avoid unnecessary strain on your back and shoulders. Carrying too much weight can cause issues down the line but with the right bag and contents, all that can easily be avoided. Got another idea? Leave it in the comments below!